← Are you able to vote in May? Make the most of the railway path! 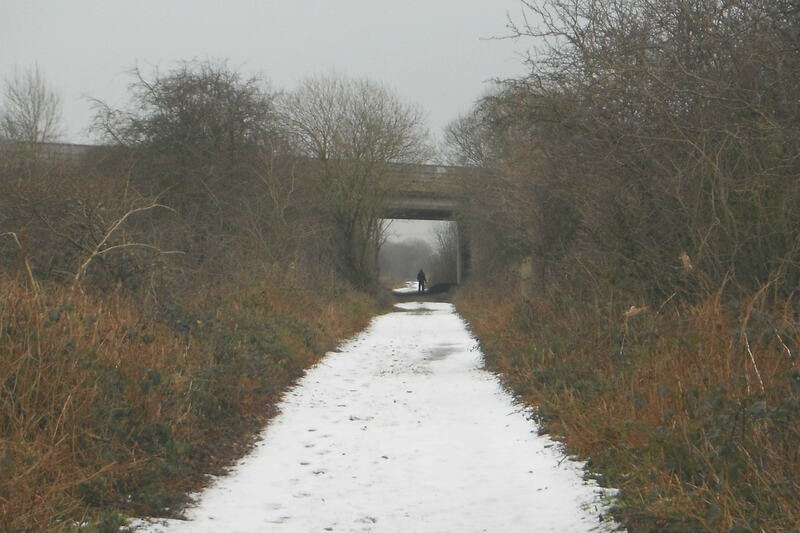 Mac Wylie dropped us his views on the new railway path from Cresswell to Totmonslow. (Thanks Mac!). He wants to see an extra section of path tacked on to it. 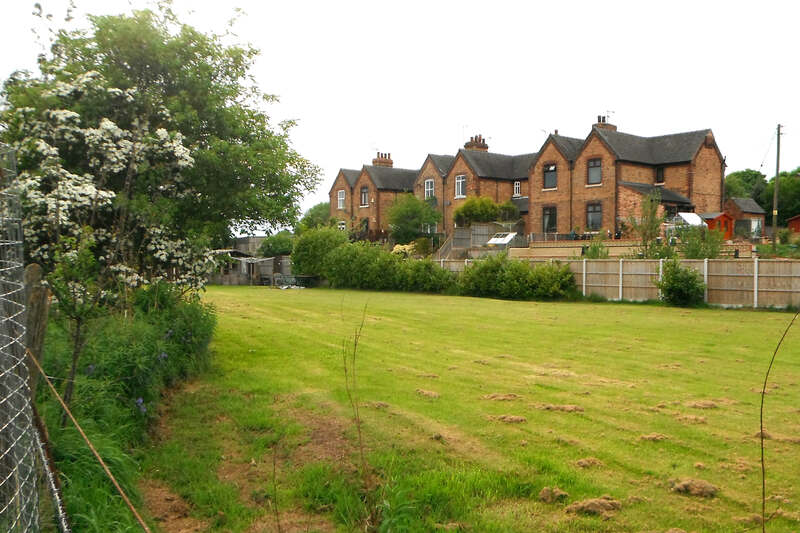 In Draycott in the Moors you have an ideal stretch of ground for walking dogs. The old railway line from Cresswell through Totmonslow to Cheadle was pulled up a couple of years ago, but now you have a fantastic track for walking a dog. The best bit of it is the southern half, from Totmonslow (you can join it on the other side of the road from just opposite where Breach Lane begins) to Cresswell, a length of about a mile roughly. The trouble with the northern half (the bit from Totmonslow to Cheadle) is that it is uncomfortable walking: the ground is just made up of stones from all the left-over ballast of the old railway line. I don’t know why the southern half is virtually clear of the stones, but it is, so it’s a much more pleasant walk. I took the dog along the Cresswell-Totmonslow stretch, and he could stretch his legs! There is only one field with sheep in it alongside the way, but all the fences are sturdy. There is (of course) no traffic. There is only one problem. It’s very hard to get to the track! If you are walking to get to the track, you have to first walk along some very narrow lanes to get to it, and no one wants to take a dog along those narrow lanes – because they can be dangerous. But if I want to take the dog there by car, there is no place near to the track to park! One solution is to park in Breach Lane – but Breach Lane is really too narrow for parking, and there is only one safe space. I’m sure people living in Breach Lane will agree. So, I have given up the idea of taking the dog there. There is a “problem of access” you might say. The southernmost, last, 200 yards of the track (the bit that would take you to Railway Cottages, and then on to Cresswell Bridge), is blocked to walkers. Though it is just a field, it is private property, and you cannot cross it. The only thing a walker can do when they reach it is turn right round and walk all the way back to Totmonslow! So… here’s what I think is a good idea. Is there a chance that the Parish Council, or one of the district councillors perhaps, could approach the landowner and ask them if they would grant a ‘permissive’ path along the side of the field? It would be very public-spirited of the land-owner indeed, and the line of the route could be narrowly fenced off with rope to make it clear where walkers must go. So close – yet so far! The rail track path ends here, 200 yards from Cresswell Bridge beyond it. This field, which is overlooked by Railway Cottages behind it, is private property, so it can’t be crossed. Mac says, is there a chance of getting a permissive path along the edge of it? If that were created, walkers could then easily get access the track just a few yards from Cresswell Bridge – and, you guessed it, without having to negotiate down the very narrow, dangerous Cresswell Old Lane for half-a-mile. What’s more, there is very easy parking around there too, which solves my problem with the dog. So, come on Cresswell councillors, what about it? Why not make the best of a fantastic asset??! If you too want to get your views off our chest, please email us with your thoughts; and we’ll do our best to publish them. This entry was posted in environment and tagged cheadle branch railway, footpaths. Bookmark the permalink.